There’s no question Donald Trump is the richest President in the history of the United States. At a staggering estimated net worth of over $5.5 billion dollars, he’s richer than every previous U.S. president… combined! Few people know exactlyhow he did it. I decided to do my own digging and get to the truth of the matter. All without the hassle of getting your hands dirty in the real estate business. My research shows Trump knows more about making money in real estate than perhaps anyone else. He was the architect of putting together multimillion dollar deals… without using any of his own money. Add it all up and he’s worked his monetary magic in real estate! But there’s one way he’s made money in real estate that is far easier than anything else I’ve ever seen. And it has nothing to do with being a landlord, building properties, or having a ton of upfront cash to invest. But yet, its advantages are almost too good to be true. 1. Monthly Income – Trump’s “Remote Control Real Estate” can give you a big, fat monthly check. The returns on investment blow CD’s and traditional bank accounts out of the water. It also beats “normal” dividend stocks. 2. Profitable – If you know anyone who owns rental property, don’t tell them what I’m about to tell you. Because they’ll be FURIOUS! But a recent article from Forbes said Trump’s “Remote Control Real Estate” consistently outperforms directly owning real estate. They crunched the numbers to prove it. 3. 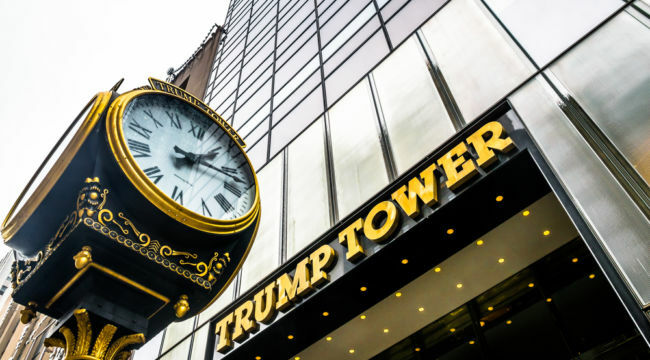 Easy to Get Started – Lastly, you don’t need to be rich to get started with Trump’s “Remote Control Real Estate.” You can get started with some opportunities for less than a dollar per day. Because getting started and collecting checks is as easy as hitting the button on your remote control. And before I tell you how to take advantage of this lucrative opportunity, let me tell you more about how “remote control real estate” works. When I’m talking about “remote control real estate,” I’m talking about investing in Real Estate Investment Trusts (REITs). These are big, stable companies that manage commercial properties. Some REITs manage healthcare-related property like hospitals and nursing homes. Some REITs manage government buildings. Uncle Sam is their tenant. And some manage residential and retail properties. REITs are a crucial part of American industry. They help build the country. Back in his builder hay-day, Trump asked a REIT to help him put the Trump Tower deal together. But you don’t have to be a billionaire like Trump to do business with REITs. Everyday Americans can invest in these REITs just like they can invest in a regular stock. The best part is, when these REITs collect rent checks from their tenants. They turn around and give you part of the rent check in the form of a dividend. They do all the work. You simply collect the cash. Not a bad deal! But like I said earlier, here’s why investing in “remote control real estate” is a sweeter deal now than it was ever before. Being a master of real estate, Trump planted a little-known loophole in the most recent tax law that made remote control real estate even more valuable. Specifically, President Trump’s loophole increased the value of “remote control real estate” by 20%! He did this by mandating “remote control real estate” investors pay 20% less taxes on their investment. Trump’s “Remote Control Real Estate” might be your best bet. I’ll be back with more specific REITS for you to take a look at. But for now, add this “Trump trick” to your radar!